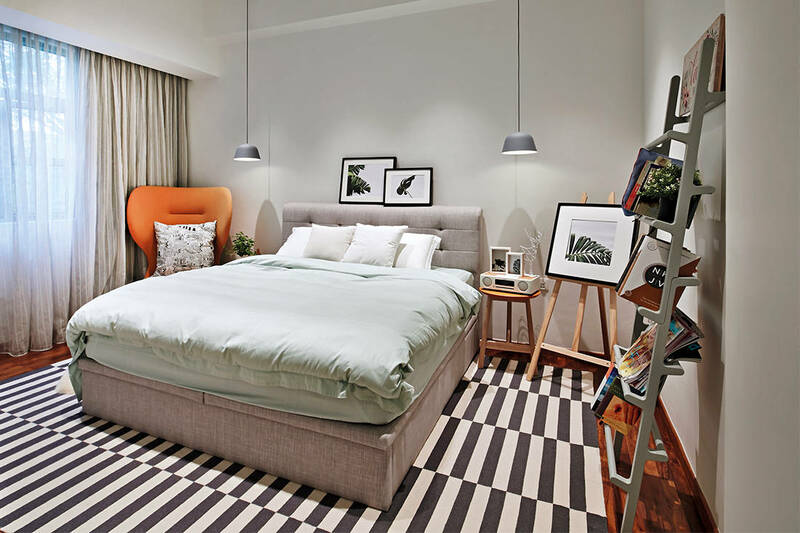 This bright and airy apartment is in a relatively old condominium building along Bukit Timah Road. It’s a third-floor unit and enjoys beautiful vistas of the neighbouring greenery and lush treetops. This view out the window became one of the leading design inspirations for the team from D’Marvel Scale. 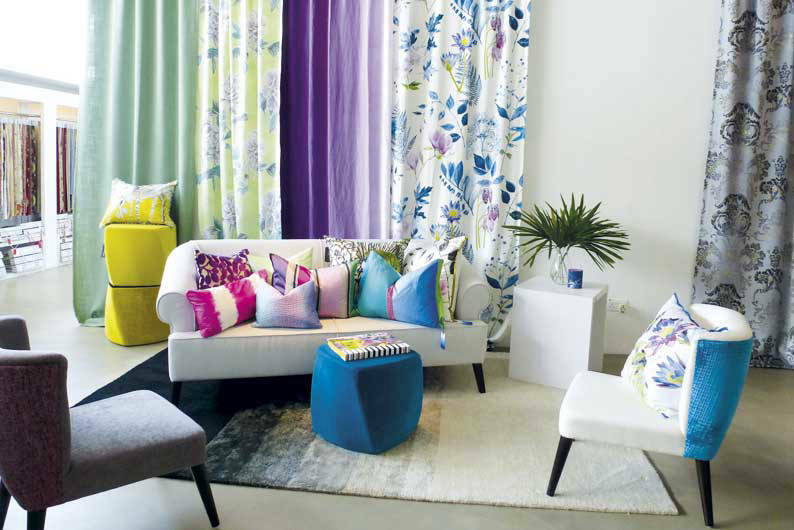 Taking its design cues from nature led to a vibrant and colourful home that also incorporates the Scandinavian trend. 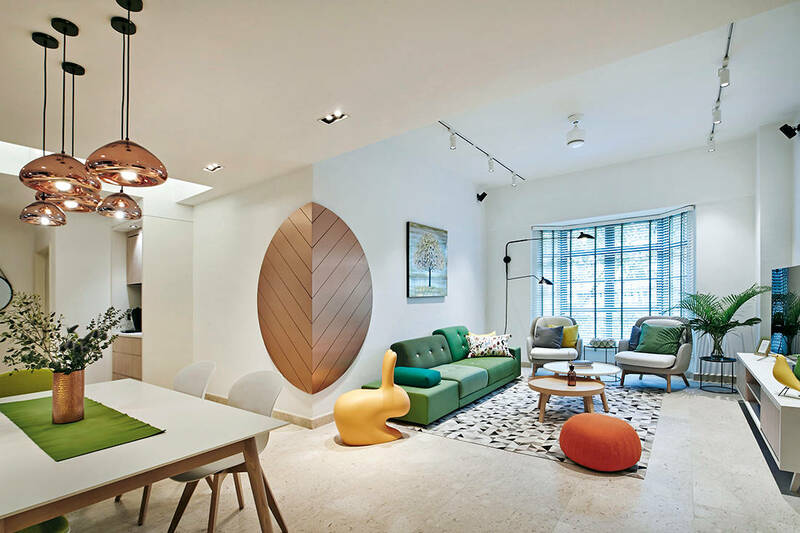 It’s easy to see that this is a playful home that isn’t afraid to be bold and dynamic. The apartment’s layout has been reconfigured, albeit in subtle yet effective ways: walls were replaced with clear glass doors, rooms were combined to create more space, and even the ceiling has been raised to encourage a brighter and airier interior. The D’Marvel design team customised a brass leaf motif as a feature wall in the hallway. 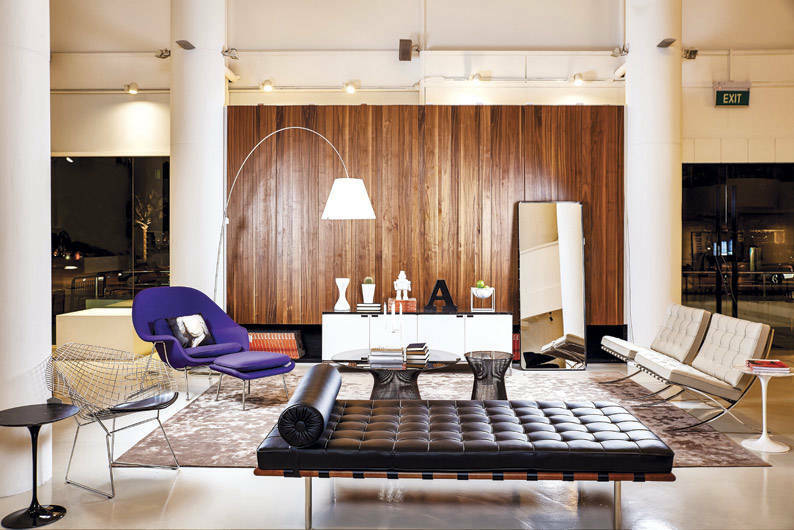 It’s a statement-making feature that becomes the talking point in this apartment as it straddles the space between the living and dining areas. The over-sized leaf feature clads the angle where the walls meet, instantly softening the sharpness of the space and visually linking the two areas. One of the biggest renovation changes took place in the kitchen. What was once a dark and enclosed space is now a bright and well-ventilated cook zone that the family can enjoy. The walls were torn down and replaced with clear glass folding doors. Not only does it visually link the kitchen to the rest of the home, it also allowed for the natural flow of light to filter from the kitchen windows, into the dining area and eventually, to the living room. 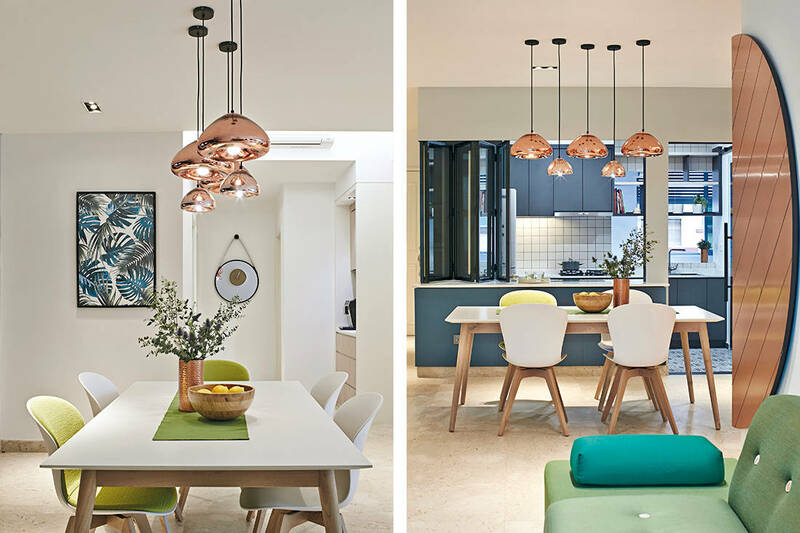 The colour palette also plays a huge role in highlighting the personality of this kitchen. 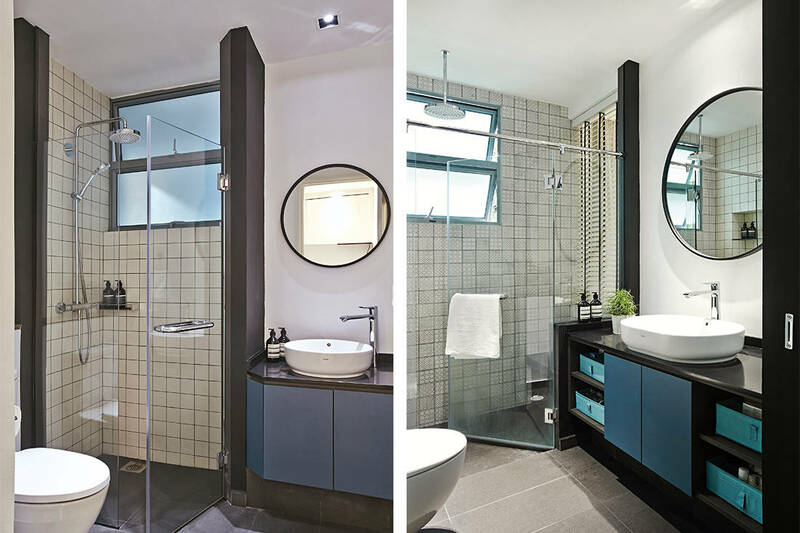 A combination of teal and grey (applied both on the cabinets and on the outside kitchen wall) sets the tone for a practical yet sophisticated space — exactly what the homeowner had in mind. 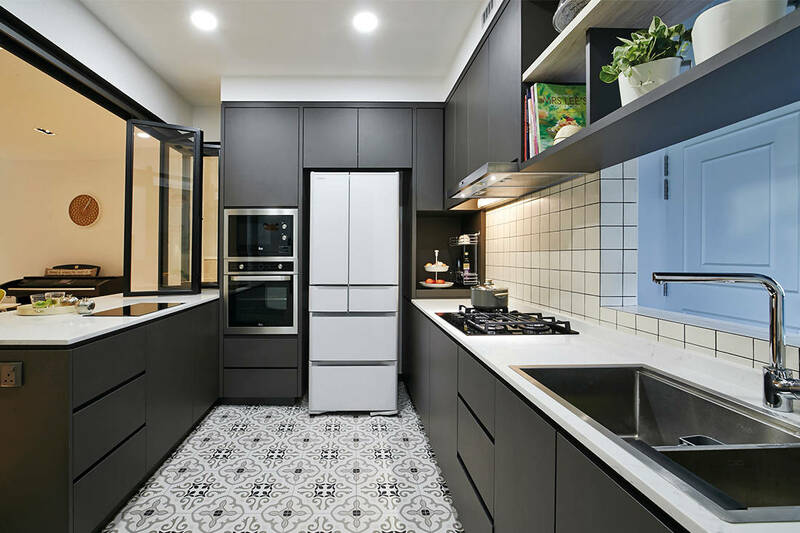 With the introduction of patterned floor tiles, the designers truly transformed this kitchen. One of the spare bedrooms has been converted into an entertainment room that can double up as a guest room. 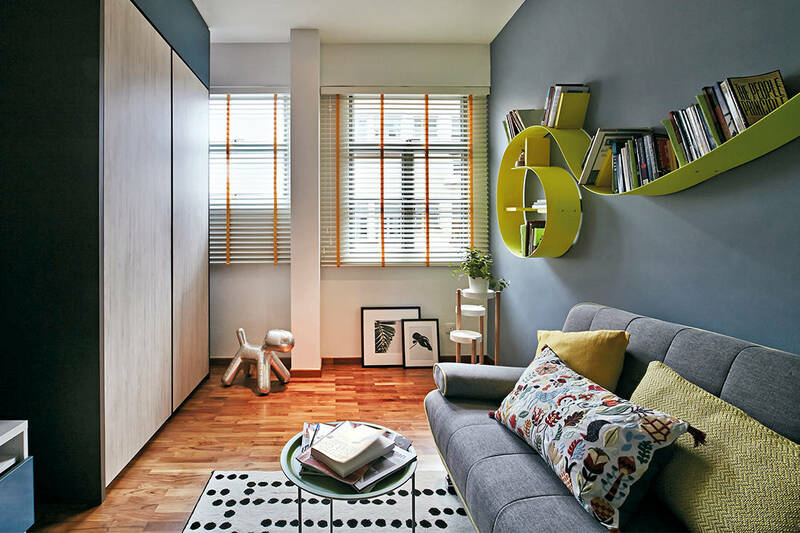 With its slate grey walls and contrasting green wave bookshelf, this simple space is now prime for guests to kick back and relax.